Head of marketing Gregory Guidotti talks Wienermobiles with Diana Bradley and explains why Oscar Mayer finally improved its hotdog recipe. In early May, Oscar Mayer removed all added nitrates, nitrites, and artificial preservatives from meat used in its hotdogs. How are you getting word out? With a campaign called For the Love of Hot Dogs. We’ve made these changes without changing the price. 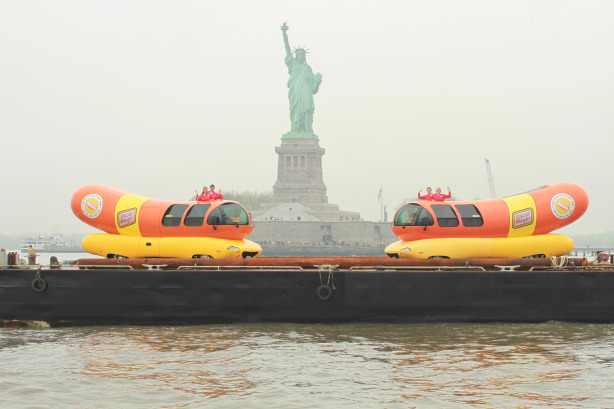 Six Wienermobiles, driven by 12 Hotdoggers, are touring over 1,700 locations to spread the word. They’ve shown up on New York’s Governor’s Island and one of Alaska’s most remote towns. We’re going to great lengths to provide a better dog and will continue that mission throughout the summer. When Hotdoggers meet a consumer they post on Facebook and Instagram. We’re engaging consumers with the hashtag #ForTheLoveofHotDogs to learn where the Wienermobile should go and we’ll do everything we can to meet them and give them a better dog. Media is planned from May through Labor Day, digital and social will go throughout the year. This is a big bet for us. Our media, advertising, and consumer spend has doubled. We’re on TV again, which we haven’t been in past years. The campaign also spans radio, print, digital, social, and experiential. The category had some long-term headwinds as consumers wanted ingredients they can understand and pronounce. We saw an opportunity to address it and reinvigorate the category. We started looking at our recipes a little over a year ago. Hotdogs are iconic and loved, but parents were uncomfortable with some ingredients. We’re launching now because grilling season begins with Memorial Day. You were VP of boxed meals for Kraft Heinz and worked on Kraft Mac & Cheese’s The World’s Largest Blind Taste Test campaign. What lessons did you learn? Listen to what consumers say about our brand and how it is loved, but also address their concerns. With Mac & Cheese, it was artificial colors, which we addressed while not compromising taste. It’s the same with hotdogs. Taste is a driver; it makes families love hotdogs. It is about making sure you get people on the same page with you and drive that vision of what we are doing and why we are doing it. As part of that, we’re getting our operations, R&D, and sales partners and our customers on the same page. We must also be bold and dream big. The Blind Taste Test was dreaming big. Changing our portfolio and going to the corners of the country to do that is bold for Oscar Mayer. Who is your target consumer and how are you engaging them? Families with younger kids: We know you love hot dogs, but you have these concerns. So we’re dispelling those concerns by hammering taste first, then following and reinforcing that with the benefits of no added nitrites or nitrates, no artificial preservatives and no byproducts. This is a longstanding debate. Most people say it isn’t. But the dictionary defines a hotdog as a sandwich consisting of a frankfurter in a split roll. I was an English major as an undergrad, so I’m taking the contrarian view that it is a sandwich, because it really aggravates people in the office here. It creates that good argument. People post videos and stuff on Instagram or Facebook about this. We have a T-shirt and a hat with "It’s a sandwich" or "It’s not a sandwich," depending on the sentiment, and we reply to consumers on social to tell them we love they are talking about this. Marketing has become so much of a one-to-one relationship at scale on social media. It’s been on the road since 1936. There is nothing stronger than the Wienermobile as a marketing tool and nobody more talented as advocates as our Hotdoggers. The smiles and memories they create are unbelievable. Relevance and staying in consumers’ consideration set. People know Oscar Mayer is a good brand with trusted quality, but we need to dispel myths about the product profile itself. How many people handle marketing at Oscar Mayer? We have a lean team of around 20 people. 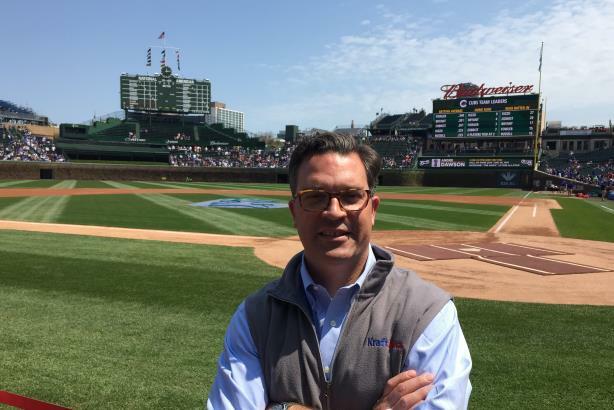 What PR agencies does Oscar Mayer work with? Your call: Is a hot dog a sandwich?